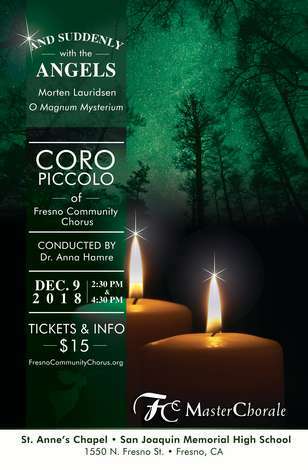 at St. Anne's Chapel on Dec. 9 at 2:30 and 4:30 pm. at the north end of the campus of San Joaquin Memorial. Seating is limited in this beautiful setting, so you'll want to get tickets early.